Televisions have always, since its invention, been referred to as binoculars into the world outside. Be sure not to miss out on experiencing other cultural displays from around the world, educational programmes to help enlighten young children, documentaries to develop critical thinking about the society and environment, and numerous classical foreign movies. Different brands have different specifications ranging from the Samsung 32”- 82” immersive curved design smart UHD televisions, the Hisense 65”- 120” best budget smart dual-color laser television, the Sony Android TVs and the LG 55” - 77” OLED TVs amongst others. 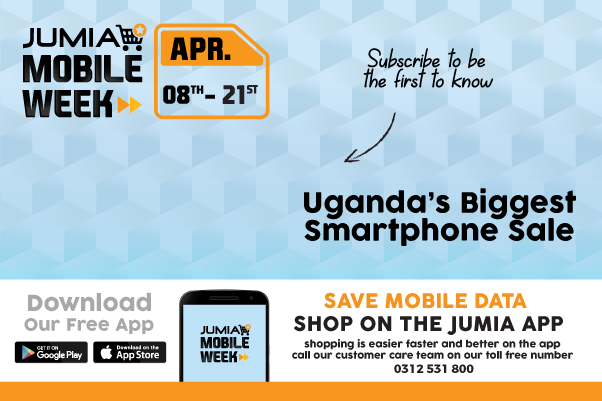 Be sure to browse through the different sizes available on Jumia Uganda to get a perfect choice that suits your budgets. To enjoy the best cinema audio effect in your living rooms with that television of your choice, you just have to choose the best speakers to go with it. Depending on your specifications and preferences, you can choose based on the frequency response, wattage, size and speakers sensitivity. Home theatre systems come in a wide variety of design and setup options from different brands like the Sony, LG, Sinatech, Djack amongst others. To get the best of moments, a digital camera helps to record your favorites moment in a digital memory for future reference. Available in different types like the compact digital cameras, the bridge cameras, the digital single lens reflex, electronic viewfinders, digital range finders and the line-scan cameras amongst others. Specially featured brands include the Canon. Nikon, Panasonic, Olympus, and Sony. Your home setup is never complete with the appropriate devices to help your daily living schedule get easier like the dishwasher, washing machine, irons, water dispenser, and other relevant kitchen appliances. Browse through out wide varieties of appliances to select your choice of durable, energy and time efficient, durable with modern designs appliances from the Philips iron, Syinix pressing iron, Saachi blender to the Hashi gas full set. At Jumia, you do not need to break a bank to enjoy life. Enjoy the view of the wide range of varieties available at the best prices.